The State of Utah has formal reciprocity or recognition with over 30 other states (see map below). The Utah Pistol Permit is available to non-residents who complete the Utah Pistol Permit Course conducted by a Certified Utah Pistol Permit Instructor. The permit is valid for 5 years and is easily renewed. Please note that the Utah Pistol Permit is a Carry-Only Permit. 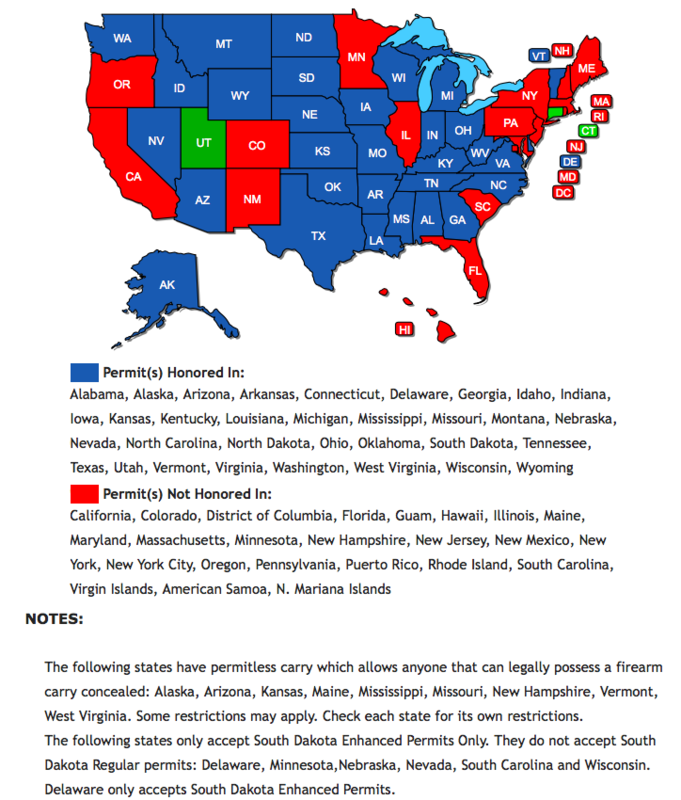 In order to purchase firearms and ammunition you must have a pistol permit from your home state. This 4-hour, class room only, course will cover basic handgun safety, ammunition, shooting fundamentals, Utah law with regard to firearms and the use of force as well as Federal Firearms laws. $125. A $25 deposit is required to register. $25 deposit is non-refundable, but may be transferred to a future class if you cannot attend the original class. Any money paid, over the price of the class deposit, may be refunded.